"Great! Very energetic and easy to follow. Costumes were fantastic. Henry, in particular, was very good. I hope to see another production soon!" "Beautiful sets and costumes, incredible swordfighting! I liked this the best of the history plays I have seen so far. Some really wonderful performances." "I thought it was an amazing performance. The fight choreography, costumes, and set really helped to get involved in the event. I am always impressed how Hangar Theater puts the audience into the action along with amazing actors new and old that always give it their best." "Loved it. For some reason, this performance was easier to understand, the language was easier, and the story is/was simpler. The time went fast. The acting was really great, the scene changes worked well and were fast. Great job and looking forward to the next histories!" 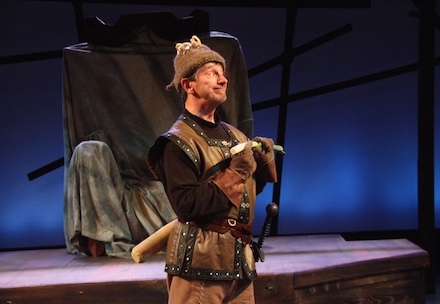 "The Ithaca Shakespeare Company created a marvelous event in its performance of Henry V. I had always wanted to see it performed live and this did not disappoint. Thank you for a wonderful evening! My only regret was not seeing the first two productions in this Shakespearian historical rendering. I will do all I can not to miss any future events." "One of the best you have done. I particularly enjoyed the program notes, the cover and the costumes. Thank you all for bringing Shakespeare to this community." "Wonderful -- will see it a second time before end of run. Impressive production in all ways. 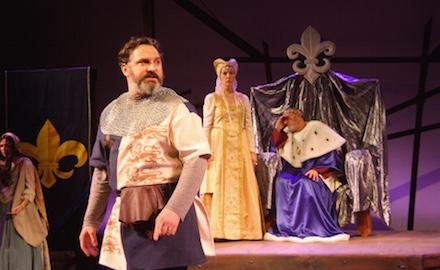 Exemplary casting; staging superb; also appreciate all the work that went into program notes (and into shorter explanations on web site in weeks leading up to opening)." "Over two dozen actors in 30+ roles is a recipe for chaos, but the production went on without a hitch. The actors worked wonderfully together to lead the audience from drama to humor and back again throughout the play. 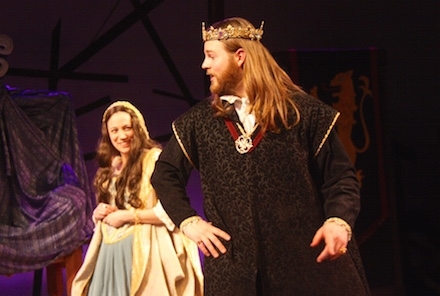 Despite a smallish stage and sparse set, the ensemble totally drew me into Henry's world. A wonderful surprise were the extensive and illuminating program notes, which I'm saving for future reference. All in all it was a wonderful evening, and made for a great Valentine's Day date. I've enjoyed other ISC productions, and I'll definitely be back for more. How lucky Ithaca is to have ISC!"